I can't lie. It's been a difficult week, so after work today I decided to self-medicate with something healthy (yoga), followed by a lovely dinner with DH at Provini, a very charming northern Italian restaurant that just happens to be located halfway between the yoga studio and our house. 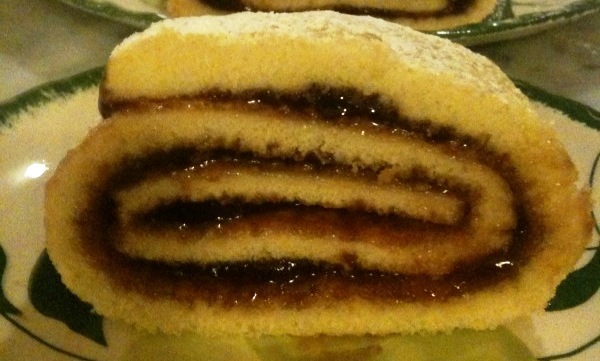 At dinner, I ended up drinking my wine (and his) and upon our return home, instead of doing something rational like watching Nurse Jackie reruns, I decided to bake a jelly roll -- something I haven't made or tasted since high school home economic class. 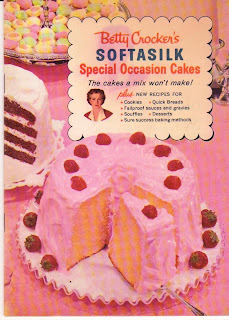 This retro dessert fell out of favor decades ago, but it appears in nearly every vintage cookbook and recipe collection I have. This one is from a 1957 Betty Crocker pamphlet DH found at last week Nasty Jacks, an antique store in La Connor, Washington. The baking experience wasn't perfect. I temporarily misplaced my camera (my iPhone) so I couldn't take photos of the cake-making in progress, and I *may* have overbeaten the eggs and/or underbaked the cake. Let's just say that it wasn't as "feathery light" as the recipe promised. 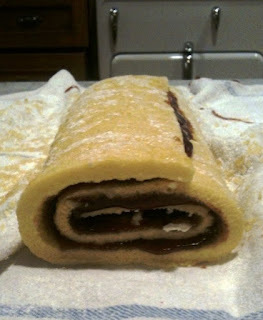 But the idea that I could whip this up, from cracking the first egg to enjoying the first bite, in about 30 minutes, was quite appealing. 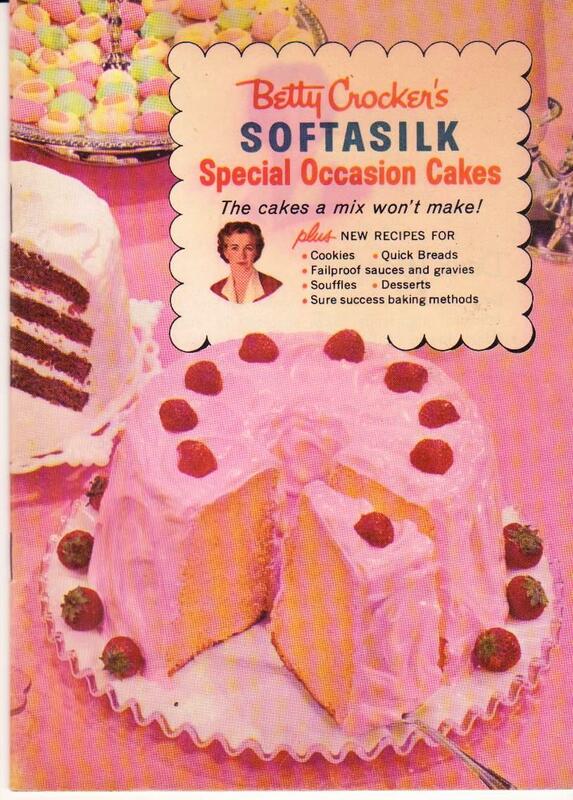 And to make something so delicious and evocative of another era -- that's my kind of happy ending.